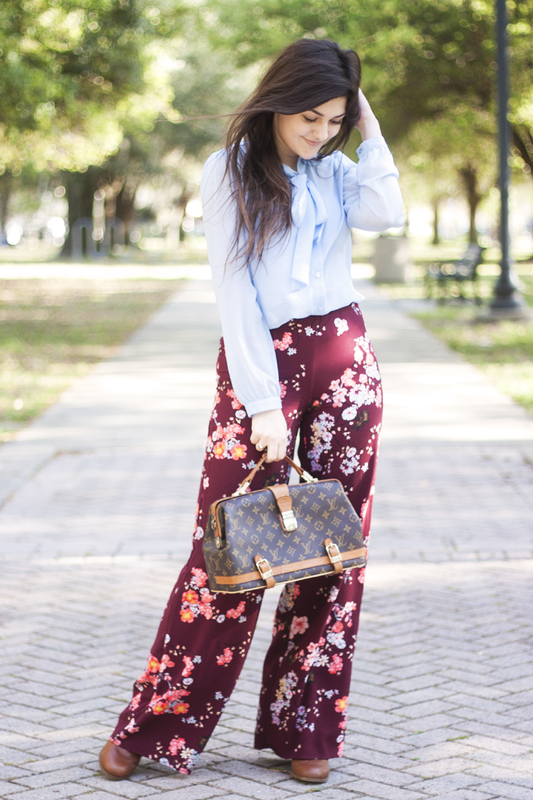 Wearing: Forever 21 Blouse + Pants, Steve Madden booties, Louis Vuitton bag. 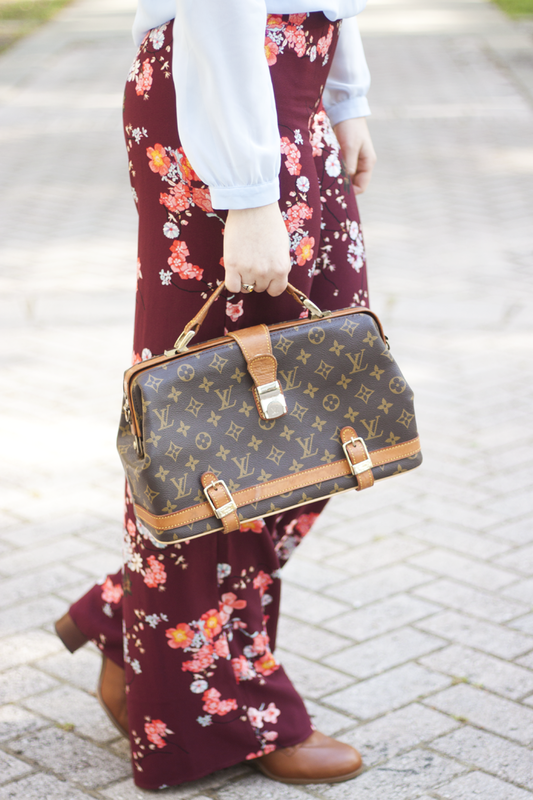 I've been dying for some palazzo pants for forever now, and I just happened to find this perfect pair when I was at Forever 21 the other day! 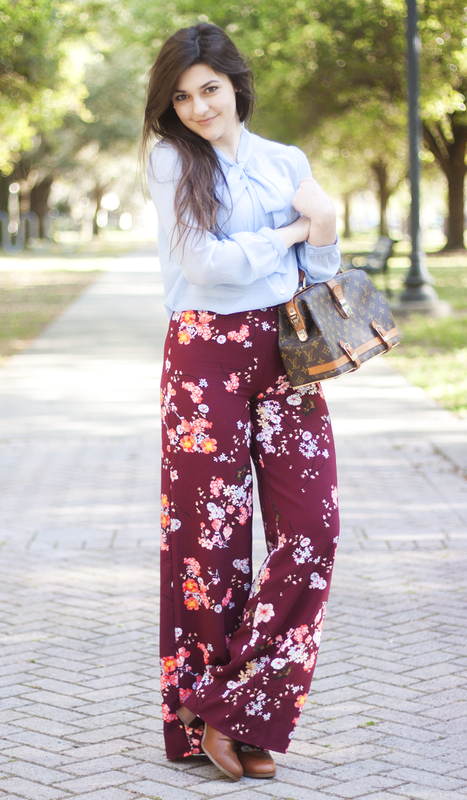 The colors and the print are so perfect for Spring, so I just found them to be the perfect pant! I paired them with his light blue blouse, but I also plan to pair them with lots of crop tops for summer! Love those pants! The color is so pretty! Crop tops would be perfect with this pair! This is such a great outfit, one of my favorites of yours yet! I've been dying over this pair I saw at Free People that look actually just like these (except yours are probably WAY more affordable) will for sure be checking forever for these!